A few weeks ago, a forest fire climbed down the mountains and ravaged the small, tourist town of Gatlinburg, Tennessee. At this writing the death toll is at 14, and thousands of buildings and homes have been destroyed. While the devastation is great, it has been encouraging to see the hearts of neighbors from near and far gathering around to care for those who have lost everything. 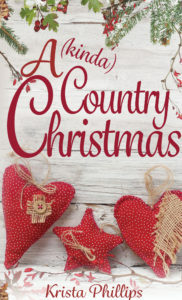 Last year, my little novella, A (kinda) Country Christmas, released, set in that same small town. My husband and I had visited there last summer, something we do every year or two since it is only a few hours from home. So I thought I’d share an excerpt for this post— in honor of the amazing, strong, resilient people of Gatlinburg, Tennessee. If you want a way to help from afar, Dolly Parton’s Dollywood Foundation has set up the My People’s Fund, promising to fund $1,000 a month for up to six months for the staggering number of people who have lost their homes in the fire. She took a deep breath and exhaled, begging God for patience in dealing with her daughter. When Mari was born, Sadie had thought if she could just get past the crying-all-night stage, the rest of it would be a breeze. Then during the terrible twos-threes-and-fours, she swore that if only they could get past the temper tantrums, all would be well in the world of parenting. But that morphed into the high-pitched screeches and wails that only a little girl could perfect, followed closely on its heels by puberty and raging hormonal changes that almost drove a momma to drink something harder than sweet tea. She’d been warned of all those stages though. What no one had ever mentioned was the torture that was her only daughter at eighteen. Gone were the childish screams of “That’s not fair” or “I hate you” or “You don’t love me” and in their place was a pompous young lady who was way too smart for her own good, who criticized her mother’s every move, who made her mission in life to do every single thing her mother did not want her to do out of pure spite. Sadie should have been prepared. Truth be told, she had it coming, considering she was only thirty-four and had conceived sweet Maribelle during one of those teenage rebellious moments herself. “Just fine?” The center tree was the focal point of the shop and Sadie’s pride and joy. Fine was not an option. Sadie frowned. If anyone was guilty of doing whatever they wanted these days, it was Mari. Taking a step back, she eyed the tree with a critical eye. It was a little plain, but in a modern, sophisticated way. The fake evergreen, its green needles lightly frosted, twinkled with the silver, white and clear glass ornaments, with doves and white sprigs of flowers tying the look together. The silver glass star at the top was like the shimmering icing on the cake. She was going for elegant, southern chic, but Mari had told her in no uncertain terms that the idea was dumb. Red plus green equaled Christmas. “And as we all know, that’s all that counts.” Mari mumbled the flippant reply as she grabbed her ear buds from the counter and headed into the backroom. Sadie rested her hands on her hips and took deep breaths. It was the Saturday morning after Thanksgiving. The day she earmarked to begin celebrating Christmas. The season tended to get muddled with the rest of the year since her store did Christmas year-round in one of the Smoky Mountain’s most famous tourist towns. Nothing was going to rain on her parade today. She would sing hokey Christmas carols at the top of her lungs, regardless of accuracy, until the shop opened, then zip it and let her iPod entertain the customers. Mari was just in a funk today. She’d get over it. Just like all the other seasons had passed by with neither of them worse for wear, this one would too. Except—next year, Mari would be off to college. She should have gone this year, but Sadie had convinced her waiting a year to go to college would be wise. She could save up money and not go as deeply in debt. So come next year, Sadie would be left—here. Alone. Flicking away the depressing thought, she started in on an even louder opera version of “We Wish You a Merry Christmas,” hoping the words would drown out all the anxiety that was so present these days. She sang and flitted through the room, fixing wayward decorations, adjusting wreaths, and making sure all lights were shining brightly. She’d just started a second go around of, “Oh Christmas Tree” when she heard a tapping on the window. Whipping around to the storefront, she almost dropped the angel ornament in her hand. Peering into the store was a man. A drop-dead gorgeous man dressed in a fancy looking black coat and a stocking cap pulled over his head. A short, trimmed beard completed the look. He was hot as Mari would say. Well, Sadie too, but she tried to frown on the use of the word, because that’s what good mothers do, right? It’s what hers had done. But in her head, she applied the word liberally, especially to the man who was squinting through the frosted door decoration and turning to leave. Her pulse galloped at Polar Express speed. Leave? Running to the door, she turned back the deadbolt. She tried to calm her voice as she called to the figure retreating down the sidewalk. “Sorry, we’re just now—opening.” That sounded normal, right? No heavy breathing from having just run across a store full of very expensive breakables…. Sugarplums danced in her stomach as she stepped aside to allow him in. When he passed and his back was to her, she pressed a hand to the red apron and tugged, making sure it was smooth, then ran her fingers through her blond hair, praying her bangs were behaving today. She turned and smiled when she saw him in front of the center tree, holding one of the clear, glass bulbs. “Thank you. Our family is a bit fanatical about Christmas you’d say, so it’s in my blood. My parents opened the store almost nineteen years ago now, but I run it now along with my daughter.” Why was she blabbering on about such nonsense? He didn’t care two licks about the ownership of the hand-me-down store. “Oh goodness no. My family moved here when I was sixteen.” No need to mention that her parents were moving her away from her deadbeat, drug-addicted eighteen-year-old boyfriend after they found out she was pregnant with his baby. “We’re actually from Southern Indiana originally. My uncle willed this lot to my dad years ago, so given their insane love of Christmas, they thought it’d be fun to start a little touristy shop here. And the rest, as they say, is history.” And needed to stay that way. “I still reckon and declare every once in a while. What about you? Do I detect a little New York there?” It was hard to pinpoint. Really, the man hardly had an accent at all. “Wow. That’s—that must have been an interesting experience.” A world traveler. So different than her own humble existence that was comprised of living in two touristy cities her whole life, with occasional trips to the Atlantic coast for vacations. Whoopty-do. Okay. She needed to stop. She was a grown woman, trying to parent a teenager, and most certainly not in the market for a guy who was a nomad. There couldn’t be a more opposite man for her. Mari needed her, and she’d promised herself years ago that she’d focus all of her time and energy on her little girl and not be taken in by a bad boy again. Besides, a man’s bank account balance shouldn’t mean a thing to her. Regardless of the fact that she had no clue how she was going to pay for Mari’s college next year. They’d figure it out. They always did. And Mari smiled, twirled around, her long, blond hair flicking Sadie in the face, and headed to the back of the store. Nate Meyers replaced the glass angel he’d been pretending to be interested in back onto the tree and turned to watch the younger version of Sadie stalk away, her wavy blond hair bouncing behind her. He hadn’t really gotten a flirting vibe off the girl’s mom, and he was usually a pretty good judge of that. But at least she’d helped clarify his curiosity about her mother’s marital status. He definitely wasn’t in the market though, despite his meddling sister who insisted he should be. No woman would want to be tied to a guy who wasn’t even in one place long enough to have a home. Snatching his hand back, he wished he could kick himself. The old Nate was at it again. The womanizer who used smooth words and expertly placed touches to woo a woman—most times ending up in his bed. Even though that was the farthest thing from his mind right now, old habits died hard. He hadn’t been that guy for over five years. There had just been something about the hurt in Sadie’s face that made him want to fix it, but she was definitely not the type of woman who was okay with even innocent contact with a strange man. He turned toward the door but his foot caught and his balance shifted. Reaching out a hand, he grabbed the first thing he touched, but a moment too late, he realized his mistake as the prickly branch gave way, and he went crashing to the ground. The sound of glass shattering echoed through the store, followed by a hush. He opened his eyes. Beneath him was the large Christmas tree that had once stood in the middle of the shop, most of its ornaments in ruins. And above him was a fire-breathing dragon dressed in a red apron with Sadie embroidered on the front. To read more, check out A (kinda) Country Christmas on Amazon! Dolly Parton is doing a wonderful thing for the people of Gatlinburg. 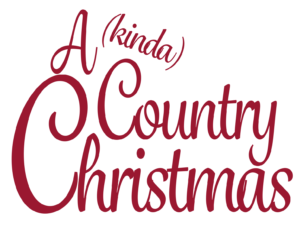 Thanks for sharing an excerpt from A (kinda) Country Christmas, Krista. I enjoyed it and I love the cover…so festive! Thanks for sharing Krista. Downloaded book and is on my to read list after Christmas. The Smokey Mountains in Eastern Tennessee are magnificent. Visited family near Knoxville in 2015. Dolly Parton is a very generous and talented lady, who helps not only people in her home state of Tennessee, but around the country and the world with her initiative Imagination Library in the United States, United Kingdom, Canada, and Australia. Every child registered receives a book a month from birth to five years of age. My three year old granddaughter loves receiving her books. Thanks for sharing her newest initiative to help those families in need. Agreed!! So many don’t really understand what a huge heart that woman has. I have a ton of respect for her!! I loved this story last year when I first read it. Thanks for the reminder! Yes, they can. The last I heard, around 1400 homes were completely destroyed, and that doesn’t include businesses and other structures. It was truly devestating. Krista…I read your book back in November before the ravaging forest fires hit. I really enjoyed it and loved the Gatlinburg setting. We go to the Smoky Mountains area a few times a year and love it there. Thanks for bringing it to everyone’s attention concerning Dolly Parton’s My People Fund. I saw that yesterday they started distributing the first monthly $1,000 grants to those that lost their homes and are having to start over. Sevier county was finally declared a ” National Disaster Area” which means that people will be getting help from the government. I agree with Valerie and Ginger – I also loved this one when I read it last year and might just need to revisit it. It was so sad to watch the coverage of the fires but I am amazed at the resiliency of the folks there and what Dolly is doing.